Kevin Primerano comes to the Rogue Valley Timbers with a wealth of experience as both a soccer coach and administrator. As the Manager of Academy and Player Development for Major League Soccer's New York/New Jersey MetroStars (Now Red Bull New York), Primerano directed the development and implementation of the MetroStars Player Development System which consists of youth camps and academies, competitive youth teams and reserve teams. Prior to his tenure with the MetroStars, Primerano served as the Head Coach of the boy's Varsity Soccer Team at Southern Columbia High School in Catawissa, PA. Taking over the program in just it's third year as a varsity sport he led the Tigers to a 36-24-4 record over three seasons as well as two Pennsylvania Interscholastic Athletic Association District Four Semi Final appearances. During this time, Primerano also served as a Striker Director for Joe Machnik's Number One Soccer Camps, one of the premier soccer camps in the United States. Upon moving to the Rogue Valley, Primerano took the reigns of the Southern Oregon Fuego for three seasons. 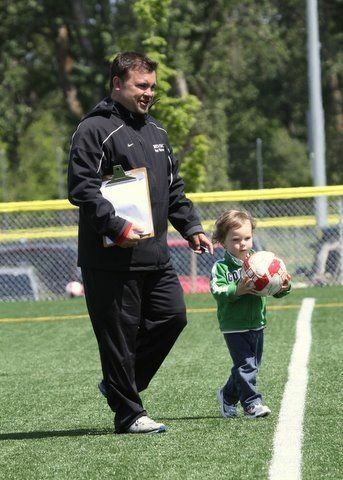 In addition to his role as the Director of Coaching for RVT, Kevin has served as a coach and evaluator for Oregon Youth Soccer Association's Olympic Development Programs, as well as the Director of the Portland Timbers Southern Oregon Regional Training Center. Primerano is also a member of the Oregon Youth Soccer Association's Instructional Staff as well as the Tournament Director for the Rogue Memorial Challenge. Kevin played collegiate soccer for the Pennsylvania State University, Hazleton Campus. He holds a NSCAA Premier Diploma and a US Soccer National Youth License. Kevin obtained a Bachelors Degree in Mass Communications from Bloomsburg University of Pennsylvania. Kevin resides in Medford with his wife Sarah and their son's Rocco and Giovanni.